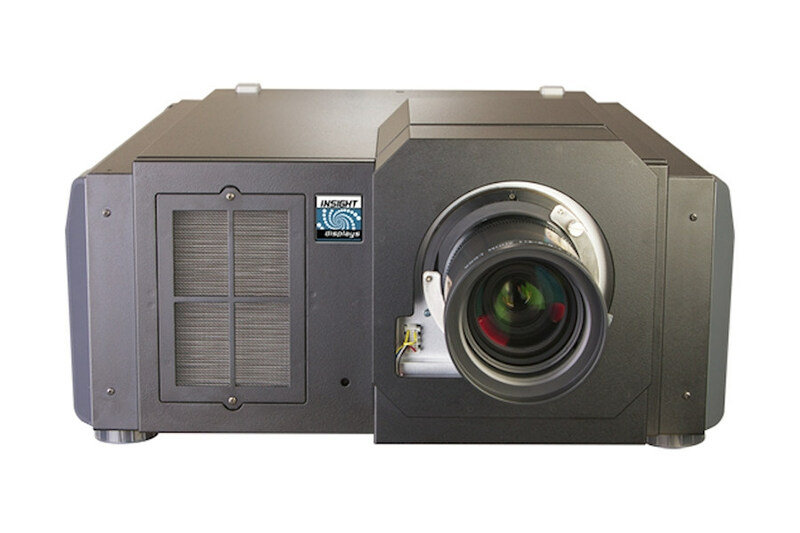 The INSIGHT LASER 4K introduces a remarkably bright 4K projection solution for discerning professional, residential, simulation, visualization, signage, worship, and large-screen applications. Venues where both image detail and image stability are critical will directly benefit from both the 4K LASER’s advanced resolution and solid-state illumination platform. Additionally, applications where image uniformity is a critical concern, such as venues employing the same content across numerous screens simultaneously, will immediately realize value from the 4K LASER’s consistent solid-state illumination performance. In environments where the projector will be installed in hard-to-reach locations, the impressive limited maintenance of the INSIGHT 4K LASER display will save both time and maintenance costs. Frame multiplication capability (2x, 3x) with interleaving of Left/Right repeated frames. Adjustable Dark Time and Synch Offset for optimisation of ghosting and smooth greyscale for switching glasses and polarizers. HDMI 1.4 mandatory standards decoded and then scaled to DMD. 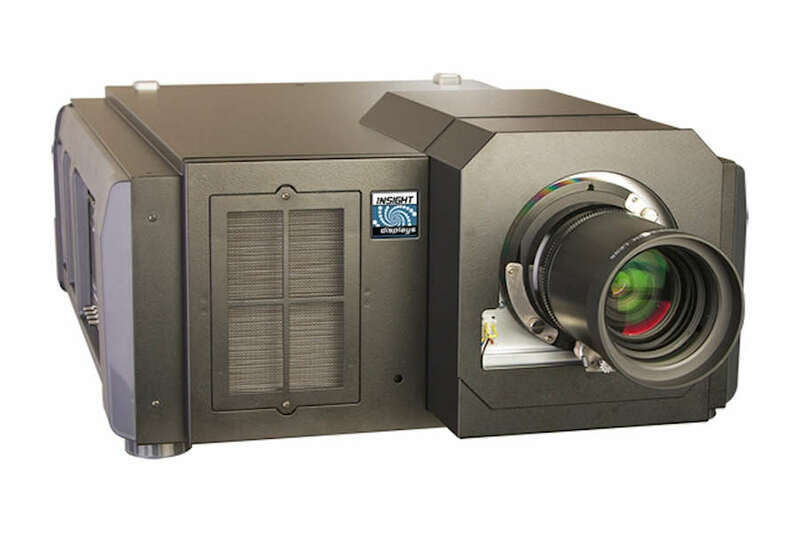 Ideally suited to a variety of vertical markets, the INSIGHT 4K Laser offers the ability to project large, detailed images from 1 projector where previously edge-blending 2 or more projectors would have been necessary. Its versatility is enhanced by the ability to operate it in both portrait and landscape mode without any modifications. Add to this the 20,000 hours of illumination from the solid state Laser light source, the INSIGHT 4K Laser boasts an unbeatable Total Cost of Ownership in a small, compact chassis. This ground-breaking projector also features full 4K 3D, with advanced functionality including Adjustable Dark Time and Sync Offset for optimisation of ghosting and smooth greyscale for active glasses and polarizers. High bit-depth blending up to 20% of the image width on all four sides of the DMD (approximately 800 pixels overlap per edge). Black level equalisation across different overlap areas. Linear black "curtains" adjustable for all four edges. Up to 12 bits per color processing (depending on source and input type). Degamma table maps 12 bit input to 16 bit palette (R, G & B) for display. Individual R, G & B lift and gain. Black and White level adjustment via Brightness & Contrast control. Degamma selection from a list of parametric curves. User selection and storage of primary and secondary user defined color targets up to 7 points. Lamps can blow, if you need your projector working and can't afford down time, you may need to keep a spare lamp. 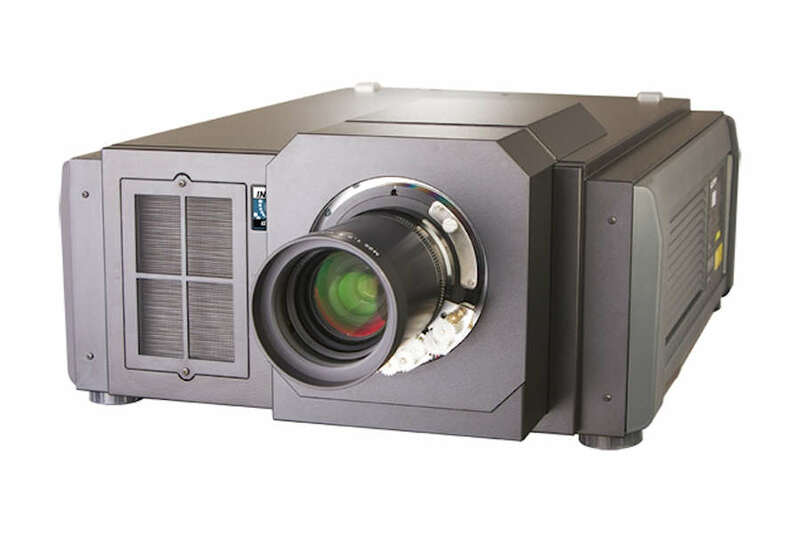 The replacement projector lamp for the Digital Projection Insight LS4k is the No Replacement.